Washington - Two months after she was sworn into office, Puerto Rican Alexandria Ocasio Cortez has gone from being the biggest surprise of 2018 primaries –after defeating one of Congress’ leaders- to becoming the most prominent voice of the new liberal wave of the Democratic Party. Her transparent style in Congress, well-planned legislative interviews, and ambitious ideas such as the "Green New Deal," have led Ocasio Cortez to win visibility in the U.S. national debate perhaps never seen in a newcomer before. She undoubtedly has a presence in the U.S. politics sphere that a Puerto Rican had never enjoyed before. Becoming the most influential voice among new liberals in Congress has made her the main target of criticism from conservatives, who measure every word she says and rummage through every step she takes. Conservative sectors question her outfits, whether she uses Uber more than the New York subway, where she lives in Washington D.C., which supermarkets she goes to, and, when she proposed to reduce greenhouse gas emissions, they even proclaimed that she wants “to take away your hamburgers”. A few days ago, a conservative group - the National Legal and Policy Center - filed a campaign spending complaint before the Federal Election Commission (FEC) alleging, among other things, potential campaign finance laws violations by Ocasio Cortez's committee, for lack of information over a $18,880 payment to the Brand New Congress, from which its campaign director and now chief of staff, Saikat Chakrabarti, coordinated efforts in favor of the election of liberals to Congress. Her legal counsel insisted that everything is in order, and experts contend that, in any case, these are minor flaws. 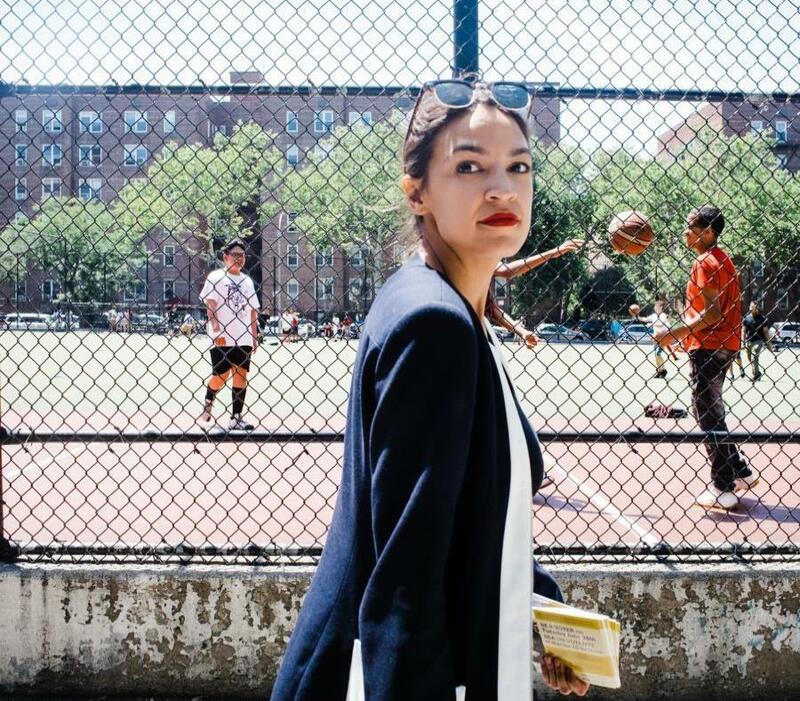 Ocasio Cortez - who has 3.4 million followers on Twitter and 2.6 million on Instagram – feels that conservatives constant criticism feels like "an extra job". "I’ve got a full-time job in Congress and then I moonlight as America’s greatest villain, or as the new hope. And it’s pretty tiring. I’m just a normal person. I knew that I was not going to be liked. I’m a Democrat. I’m a woman. I’m a young woman. A Latina. And I’m a liberal, a D.S.A. member," Ocasio Cortez said in an interview with The New Yorker. Her first proposal in Congress was the Green New Deal resolution, which proposes achieving zero net emissions of greenhouse gases, 100 percent renewable energy, jobs for all and a strong investment in environmentally friendly infrastructure. She has also co-sponsored other bills. Among those, two from her Democrat colleague Nydia Velázquez (New York) to forbid the White House from taking funds allocated to jurisdictions devastated by natural disasters and give Puerto Rico access to the Supplemental Nutrition Assistance Program (SNAP), which would increase the island's nutrition assistance funds by at least $700 million. "Alexandria has an incredible future, she's charismatic, she's smart and she fears no one,” Velázquez said. Ocasio Cortez, 29, the youngest woman to ever serve in the U.S. House, has also been close to the bill proposing Washington D.C. to become the 51 state. Her speech also includes proposals by Independent senator Bernie Sanders (Vermont), which, like “Medicare for All” and free tuition in public universities, have been incorporated into the agenda of many Democrats. "I believe health care is a right and people should be paid enough to live. Those are offensive values to them. But this ravenous hysteria—it’s really getting to a level that is kind of out of control," Ocasio Cortez said. Resident Commissioner Jenniffer González said she has tried to meet with Ocasio Cortez, but their schedules have not aligned. "We have met, but we still haven't had a meeting," said González, who believes Ocasio Cortez can be "a great ally” regarding Puerto Rican issues. Amid attacks by Republicans and the anti-socialist flag that Trump raises against the Democratic left, González said she will not enter into disputes. "Here when you don't have the right to vote, you have to seek allies among people who can vote, so I trust that we can set an agenda for Puerto Rico, not only with her, but with other representatives," said Commissioner González. This weekend, at an event in Austin, Texas, Ocasio Cortez said that as a socialist Democrat she mainly wants to make the country more democratic. Peter Buttigieg (37) South Bend (Indiana) mayor and Democratic presidential pre-candidate, thinks the word socialist "has lost its meaning" in the U.S. political debate, and “it's certainly lost its ability to be used as a kill switch on debate." In one of the debates, during the primaries, before former Representative Joseph Crowley, who was in the Democratic leadership until he lost his seat, Ocasio Cortez said that she first considered challenging Puerto Rican Rep. José Serrano (New York). But she then decided that Serrano - who was by her side when the "Green New Deal" was introduced - was doing a good job, and chose Crowley, whom she decisively defeated. "She speaks as people do in real life," he said. Despite Republican´s permanent campaign against her, Fernández Toledo thinks that Ocasio Cortez has overcome almost all of them. The most important battle for Congress newcomers is their first re-election campaign, because that is when they prove that their first victory was not a mere vote against the previous representative and that voters recognized their work in Washington and in their district. "If she survives her first reelection, I think she is going to be an important political figure in the United States," said Fernández Toledo, who was an advisor to former Puerto Rican Rep. Luis Gutiérrez (Illinois). For Fernández Toledo, Ocasio Cortez will also face another great challenge regarding how she promotes changes in Democratic public policy "without alienating herself from the rest of her colleagues." “She has to work with the Democratic leadership ... but at the same time show that she is pushing in the direction that her people (those who took her to Congress) want," he added. Along with Ocasio Cortez, her colleagues Ilham Omar (Minnesota), Rashida Tlaib (Michigan) and Ayanna Pressley (Massachusetts) left a mark early on the session. They are part of the Congressional Progressive Caucus. Pressley is the first African-American woman elected by Massachusetts. Tlaib and Omar are the first congresswomen of Muslim origin. And both have reached the headlines for being different and direct about their views. They have also been target of criticisms. Tlaib was criticized for insulting the President in her call to impeach him, moments after she was sworn into office. Tlaib acknowledged that she is direct, while her supporters were surprised that the criticism came from supporters of the U.S. President, who does not stop insulting opponents and even some of his allies. Omar has been in focus recently for her criticism of pro-Israel lobby funding influence and the strong ties of U.S. politicians to Israel. Her expressions have been denounced even by Congress Democratic leadership, and resulted in a resolution that sought to condemn anti-Semitism and other forms of prejudice. Ocasio Cortez has questioned the interest in trying to censor Omar directly, although in the end there was no direct allusion to the congresswoman. For Ocasio Cortez, no one seeks this level of reprimand when members make statements about other communities, such as Latinos, recalling the moment when Republican Jason Smith (Missouri), on the floor, shouted at Democrat Tony Cardenas (California) "return to Puerto Rico" and nothing happened.